Oracle has announced the availability of the first release candidate of MySQL 8.0, the much-awaited update for the users. It offers a great database management system –its core competency- and to top it, works even better with modern applications. It is now available at GitHub for developers who want to unravel what this new update has to offer. 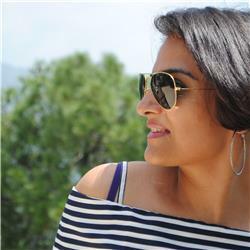 The update has come after a long gap and is pitched at making MySQL better for modern apps. This will eventually translate into making mobile apps native and in reducing the number of clicks necessary for a transaction. The love for emojis by the user in mobile applications have made MySQL include additional support for Unicode (UTF-8 encoding). Modern applications require speed and flexibility which JSON gives and JSON support was very well received by users when it featured in MySQL 5.7. Keeping this in mind, Oracle has enhanced JSON’s performance with optimized support for a partial update. Manipulating JSON in cases like sorting data has also become better now. Oracle has added functions to check the on-disk size of the native JSON type, array and object aggregate functions, and a function for formatting. JSON path expressions now support ranges allowing extraction of the top n or the last item from an array. This latest release also improves search capacities including spatial searches for JSON by providing full-text indexing of a partial or entire JSON document. Users have much more flexibility in searching their data within JSON documents inside of MySQL. The document store provides users with consistent reads-and-writes. The users could already use MySQL like a document database, (with a set of NoSQL CRUD APIs) to access their data since its last release but the current update allows developers to keep transaction semantics. It also expands the indexing capabilities of the MySQL document store. 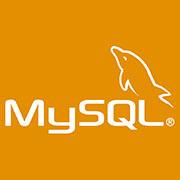 Additionally, any data created in the document store can also be accessed via the regular MySQL SQL protocol. For complete details on the new release, go here.